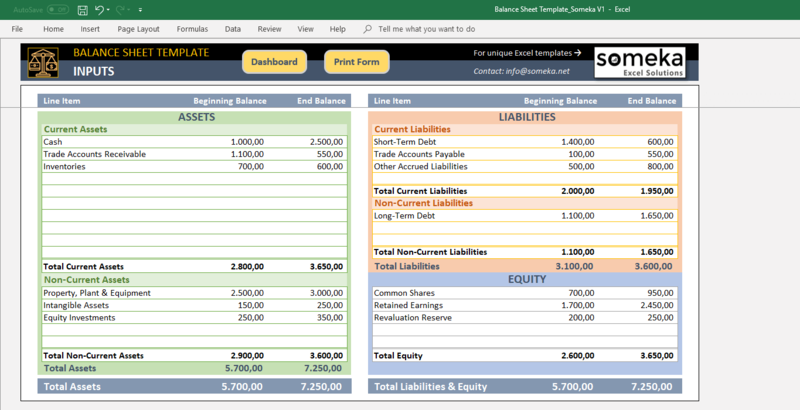 Balance Sheet Template in Excel lets you prepare a balance sheet report and calculate financial ratios with a well designed structure! 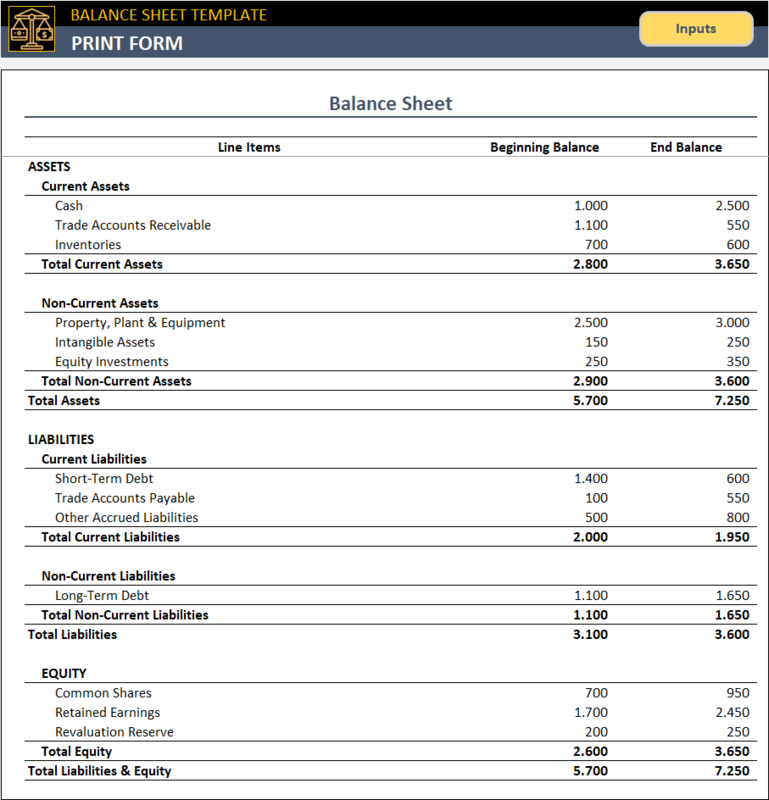 Balance sheet, also known as a statement of financial position, is one of the major financial statements that provides an insight about the company’s financial health. So it is important to see how things are changing over time. Looking at how these figures develop from period to period may help to reveal important trends, detect problems and predict future performance. 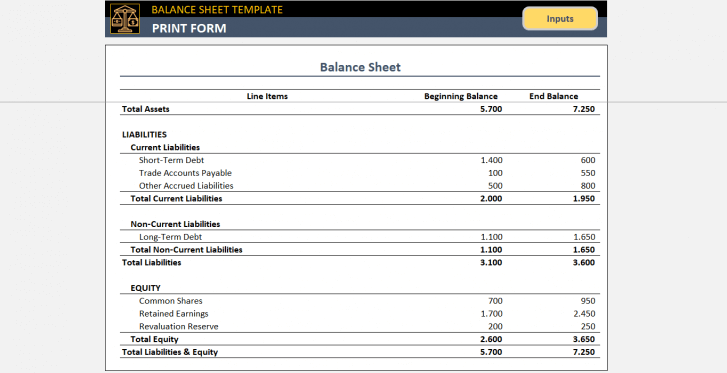 By using this Balance Sheet Template, you can easily prepare a balance sheet report, analyze assets’ and liabilities’ structure, and calculate basic financial ratios of your company! Now, let’s dive into each section of Balance Sheet Template. Input section is where you can enter information about your assets, liabilities, and equity. 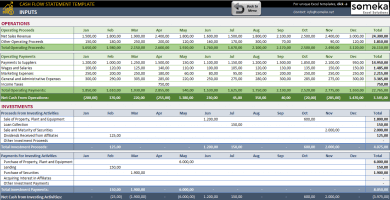 It provides a clear and flexible layout, suitable for each and every business. 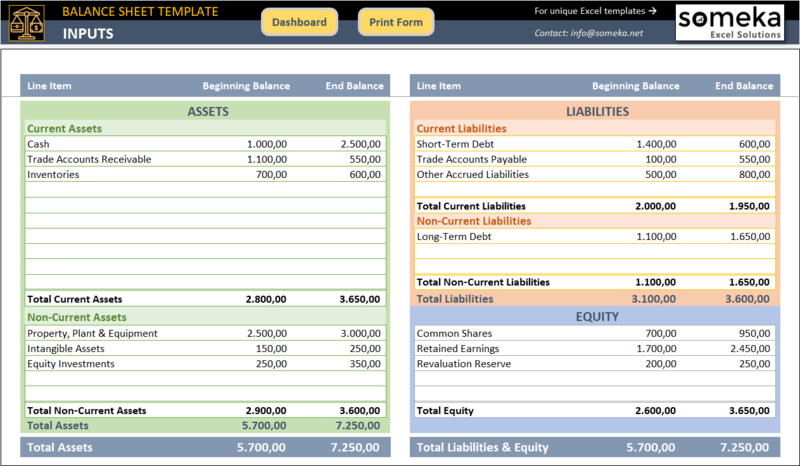 Here you will input your beginning and end balances along with item descriptions into Assets, Liabilities, and Equity. 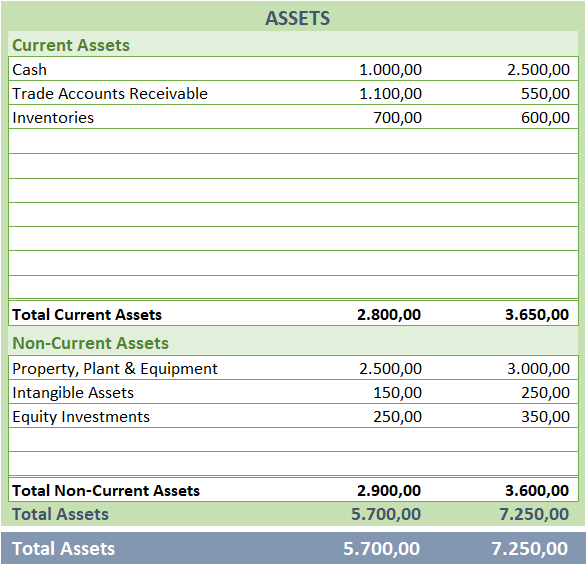 Assets section contains those valuable things the company owns, and which can be used to generate cash flows, by either selling them directly or using them to produce other assets or to reduce expenses. Current assets are those you expect to realize during the next 12 months. 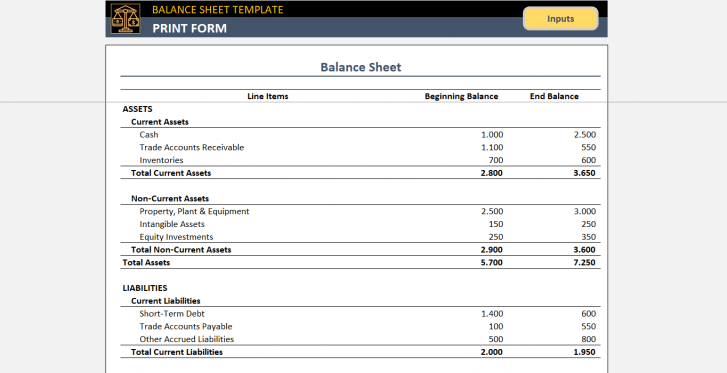 Non-current assets are those you expect to hold for more than 12 months from the date of balance sheet. 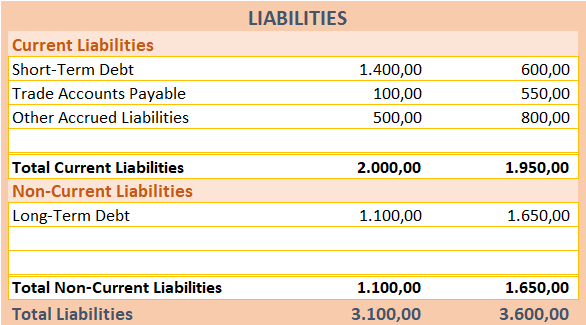 Liabilities are money amounts that the company owes, either legally or constructively, to other persons. 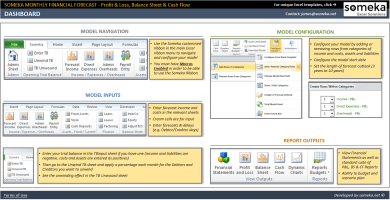 While assets contribute to shareholder value, liabilities do exactly opposite. Current liabilities are those you expect to settle or pay during the next 12 months. 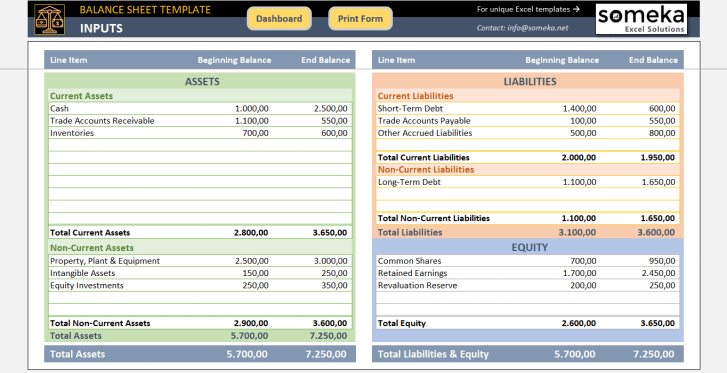 Non-current liabilities are those you expect to exist for more than 12 months from the date of the balance sheet. 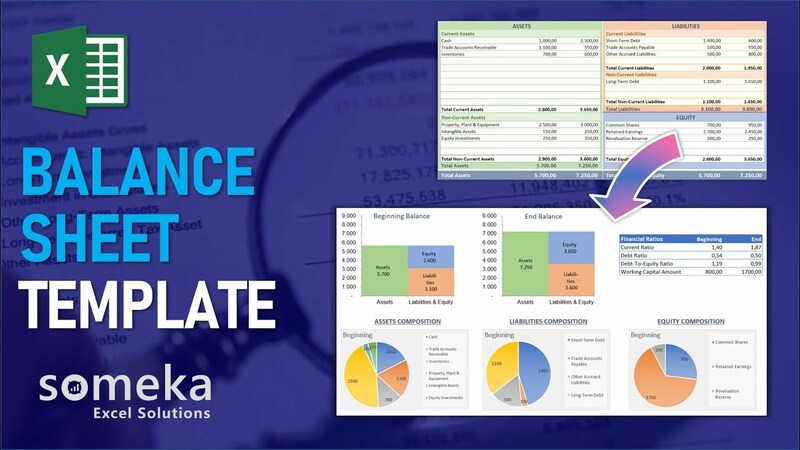 Equity is a residual part of the assets’ value that belongs to the company shareholders, after deducting total liabilities from the aggregate value of its assets. 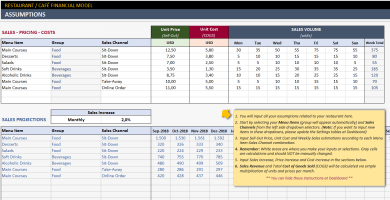 **You can add as many lines in each section as you need. After you input the all information above, see the charts and financial ratios on the Dashboard. Current Ratio shows your ability to cover your current liabilities so it should be more than 1. Otherwise, it would be a sign of trouble if you run into financial difficulty. Debt Ratio shows what share of your assets is financed by debt, and provides a measure of financial risk you’re taken. 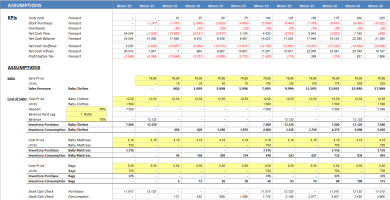 Normally, shouldn’t be more than 0.7 because higher ratio suggests higher risk. 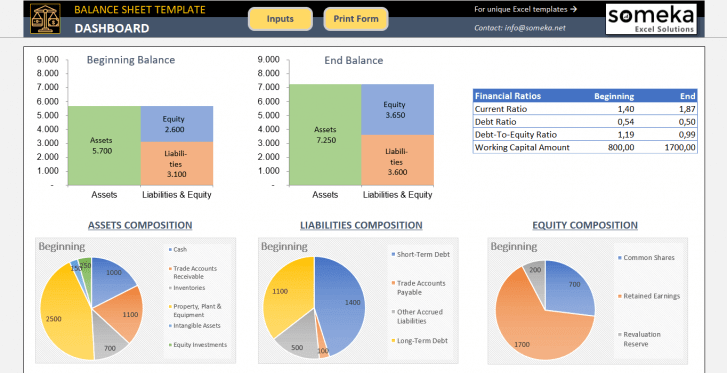 Debt-To-Equity Ratio shows how much your financial position is leveraged. The more its value, the more financial distress. 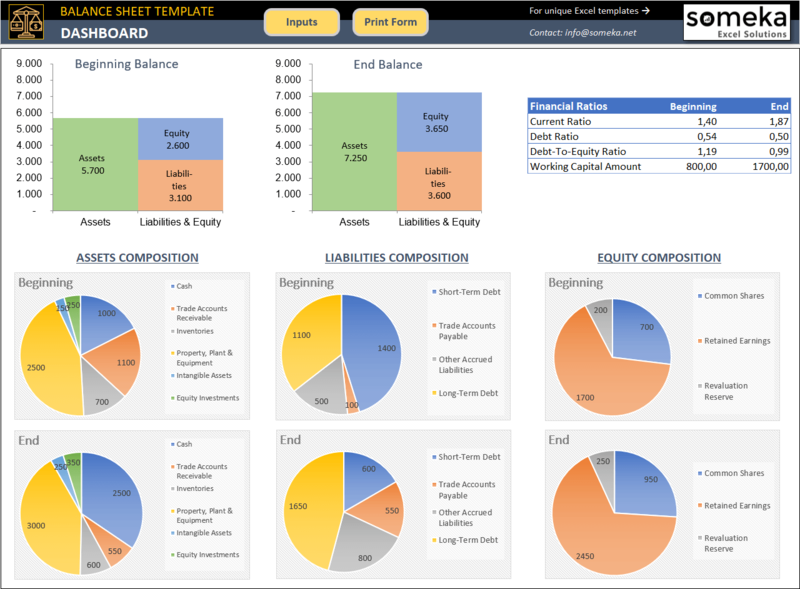 Working capital shows how much of your current assets are financed by long-term, rather short-term, sources. Higher working capital indicates your ability to finance current operation without relying on the short-term borrowings. Last section is an auto-generated Print Form of this balance sheet template. 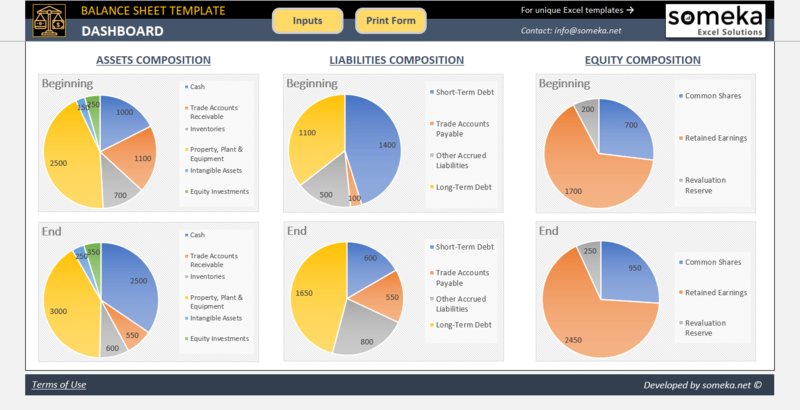 You can create a consolidated report and email to your bank in just a few seconds. 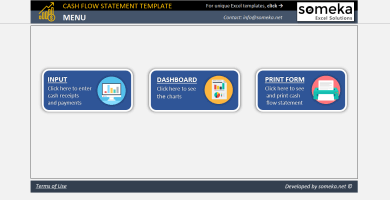 This excel template is ready-to-use and provided as is. 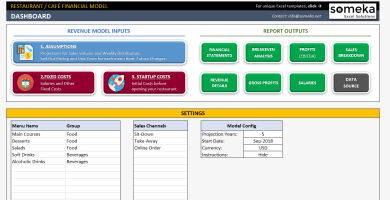 If you need customization on your reports or need more complex templates, please refer to our custom services. Ótimo modelo para mim é o melhor! 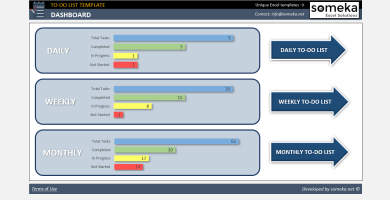 Very happy with this template and the support I get for it. Great design, I liked the Print Form, but free version is so limited. I don’t have to buy modifiable version!!!! Hello noor! Thank you for your feedback. 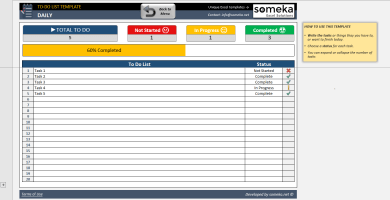 Our templates are designed as-is so just for further modification you need to buy modifiable version. I didn’t get this password thing!!! Hello Stan! We’ve already sent the password via order e-mail. Could you please check your inbox/spam box? In case you’ve missed, please let us know! We will send you again. Ow, my bad! Thanks a lot!!!! 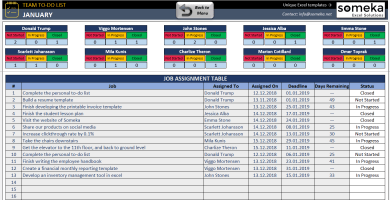 I’ve installed this template, its working well, support is very helpful, and I’ll buy modifiable version. saved me a lot of time. 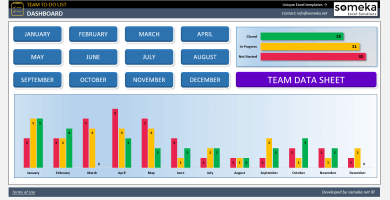 all you have to do is inputting numbers and it gives my report. Thx Someka! all I needed for simple project book keeping and accounting basics. This is very good and useful.